When you think about October, you probably think about apple cider, pumpkin spice, haunted houses, and dressing up. In Career Services, we add one more October theme to that list: Graduate Pathways! 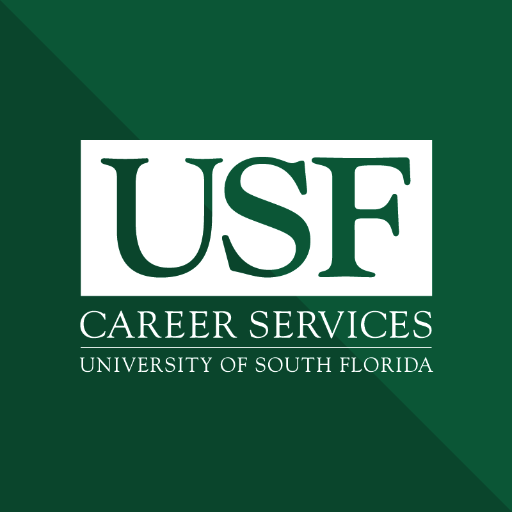 For the last several years, we’ve been using the month of October to introduce USF students to Graduate and Professional School. Many advanced degree programs have application deadlines that fall sometime between October and December, and so we host workshops throughout the month to help you decide if Grad School is right for you, how to choose a program, and how to finance that journey. Today, we’re going to talk a little bit about what Grad School is, and why you may want to consider a program. So, What is Grad School? Right now, you’re probably pursuing a four-year bachelor’s degree. Let’s get something straight. That degree is valuable, and it demonstrates to employers that you have the knowledge to excel in the world of work. Your undergraduate program prepares you to work in a wide variety of industries – even if you major in something specific, like engineering. A Graduate or Professional School program is an advanced program of study. It is focused on a specific academic area or a specific profession. For example, if you wanted to be a doctor, you would need to go to medical school where you would choose an area to specialize in, and then learn information specific to that area of the healthcare industry. Grad School typically requires original research or scholarship. This means that you may have to produce a written thesis paper or present your research to a group. It’s important to know what potential programs of interest require before applying to those programs. Do I Need Grad School? Some career pathways require an advanced degree that shows that you have intense commitment, passion, and drive for the work that you do. If you’re not sure if you will need to pursue an advanced degree, there are a few ways you can find out. Our office is always here to help you. Our Career Consultants are familiar with the variety of career pathways that you may take and they have tools to help you determine how far you should go with your education to be successful in your field. If you’re interested in sitting down to discuss your pathway one-on-one, contact our office and we’ll set you up with an appointment. You can also check out the information that we have online. Attend our Graduate Pathways month events! This year, we’re starting things off at our Graduate Pathways Month Kickoff Celebration on Wednesday, October 4. Join us from 10:30 a.m. – 1:30 p.m. on the first floor of the Marshall Student Center to learn how the month of October can benefit you! We’ll also be sharing the details about how you can score a $50 GRE Test Prep Package! Can’t make the Kickoff? Details about our other Graduate Pathways events are in Handshake. If you prefer to do some research on your own first, check out the site OnetOnline.org (link to onetonline.org). Using the Occupation Quick Search bar in the top right corner, you can look for details about jobs or career paths that you are interested in. Navigate to the Education section and you’ll find information about what percentage of people working in that field have a bachelor’s degree, master’s degree, post-doctoral degree, or another degree type. That should give you an idea of what kind of education you should be considering for your career field. If you have any interest in going to Grad School, keep up with Professional Edge this month! We’ll continue to post information you should know as you consider your Graduate Pathways. See you at our Graduate Pathways Month Kickoff Celebration!